Yehelim, the only family boutique hotel in the South of Israel, is located on the outskirts of Arad, adjacent to the desert, and overlooking the spectacular views of the Dead Sea, the Judean Desert and the Transjordan. Yehelim is characterized by extraordinary private accommodation. The intimate hotel has 12 guestrooms at numerous levels, where one can observe the meticulous maintenance and cleaning standards, along with the loving touch of the owners. 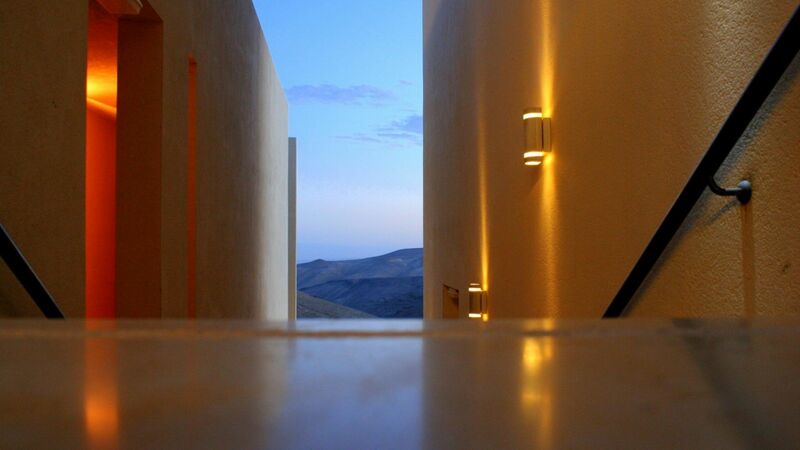 The special structure of the hotel creates a great sense of privacy, allowing our guests to be one with the desert. In the main hall of the hotel you will find seating areas, tourist information corner with travel books and maps, a lavish cold and hot drinks corner, and the main hotel terrace that overlooks the desert landscape and the Dead Sea. Accommodation includes generous homemade breakfast, made of fresh local food. We offer a variety of massages and treatments performed by experienced professionals. The desert town of Arad is the perfect place for exploring the Dead Sea area. Apart from the Dead Sea and the Masada world heritage site, there are numerous sites such as Tel Arad, Kina ravine, the Ze'elim Wadi and Tzffira Waterhole. The unique phenomenon of the Negev craters is about 40 minutes' drive. Ein Gedi Nature Reserve is another popular site that many of our guests enjoy. Positioned next to the Dead Sea, Masada, and the Judean Desert Nature Reserve, our surroundings offer a great number of varied (guided and self guided) routes for hikers and bikers, as well as for those who prefer 4WD ATVs or camel back rides. There are various restaurants and cafes in Arad, in addition to the artist's quarter and shopping centers to provide for all your needs during your stay.